Low profile dimensions make the SC-1252MG a perfect choice for any vehicle with tight spaces. 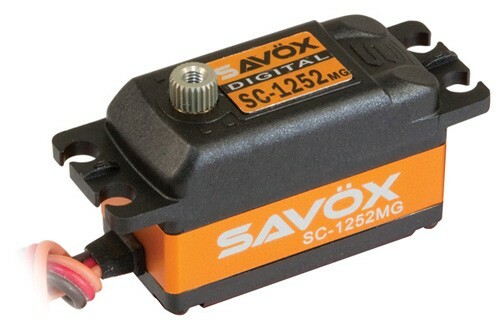 Ideal for 1/10 scale touring/on-road, the SC-1252MG can also function in planes as a thin wing servo. At .07 (@6.0V sec/60), its superfast response is impressive for steering around the oval or the F1 track. Built tough with durable metal gears.